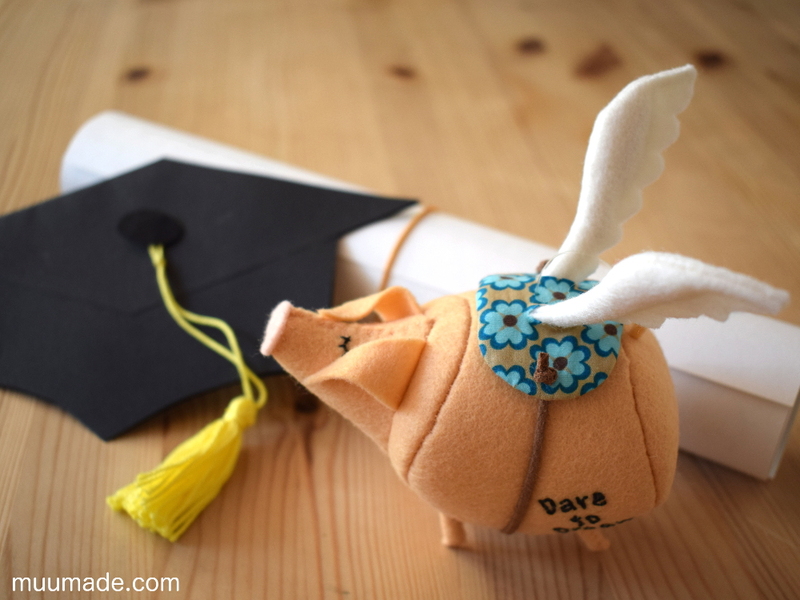 This is a sewing pattern and tutorial to make an adorable and yet very bold felt pig that dares to dream of flying! Moreover, as you can see in the photo above, it used its wits to make that dream come true!!! Everyone knows that a flying pig is a symbol of impossibility, as commonly expressed in the cliché “when pigs fly“. 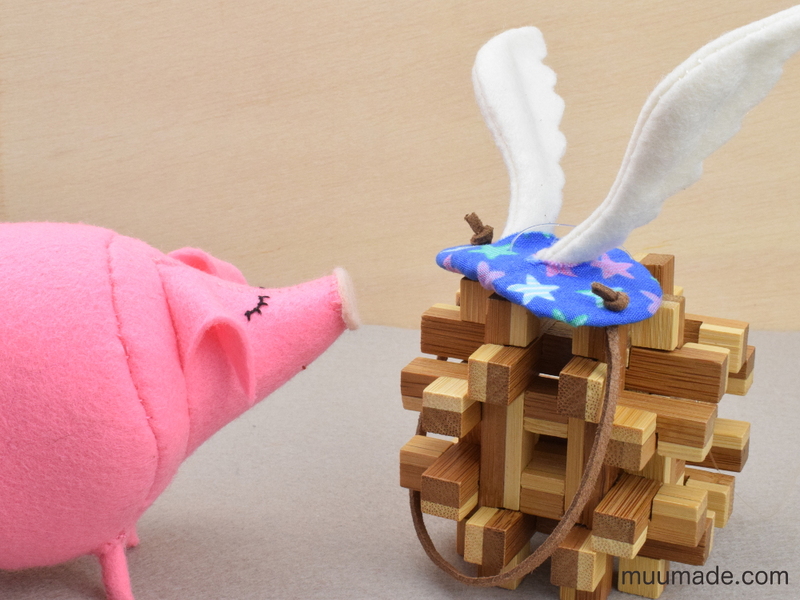 But, I designed this Flying Pig to transmit a sense of optimism and hope. 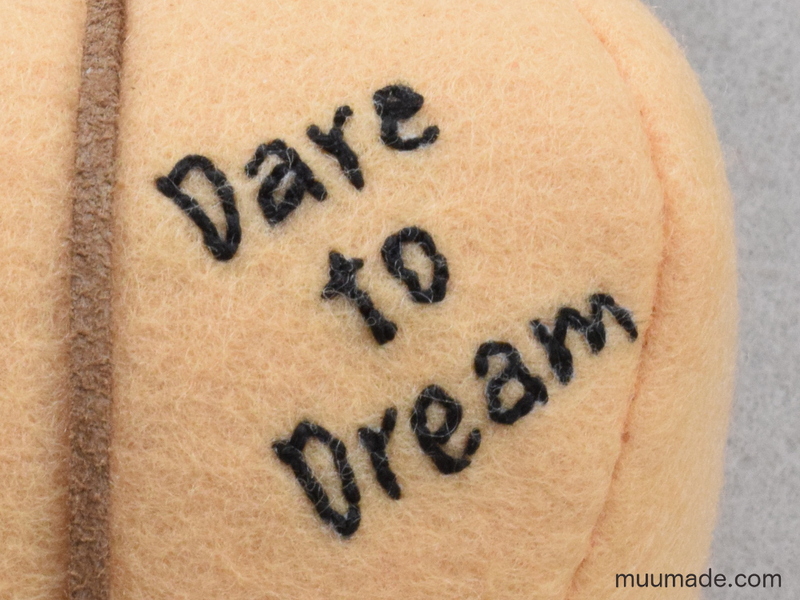 On its belly is ‘tattooed’ (embroidered) an inspirational message – Dare to Dream. Without its winged saddle, this pig is outwardly ordinary in every sense: it is fat; it has short skinny legs; it has an indelicately large snout; and it has a pair of floppy ears that obscure its vision. BUT, what is not obvious at the first glance is that it has determination, cleverness and creativity, which it uses to overcome its shortcomings. In fact, it surpassed its reputation by creating a pair of wings to carry it up into the sky! And that is how it dares to dream big and make the impossible possible. 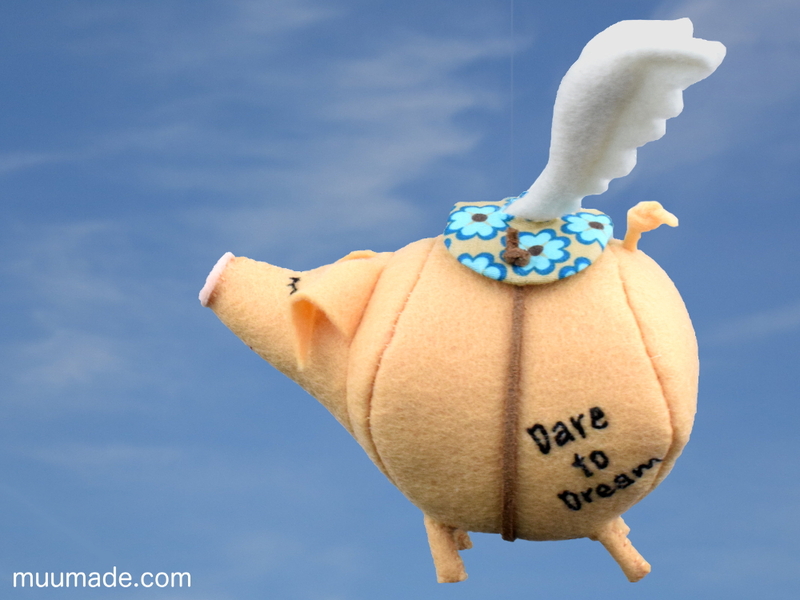 The Message-Bearing Flying Pig therefore would make a wonderful gift for anyone who is about to embark on a new adventure or for those who could use a bit of encouragement to follow their dreams. The Flying Pig is approximately 10 cm (4″) tall and 13 cm (5″) long. Its wings are approximately 8 cm (3″) long. But if you wish, you can enlarge or shrink the patterns to make whatever size pig you like. It is designed to hang from a transparent plastic cord, to allow it to be displayed in flight.